From an uncle to his nephew for his 5th birthday. 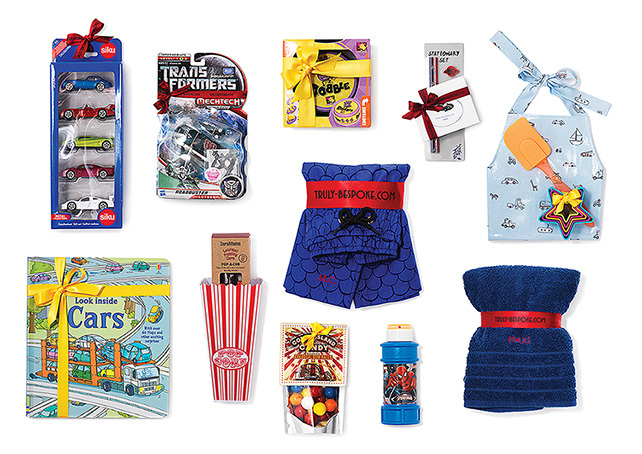 The brief: A fun little boy hamper for a car-crazy, cool kid living Down Under. Mini baker, riot maker, off to school, would swim all day if he could!